Your best place for BRITISH and EUROPEAN Jewelry / Jewellery including Antique Jewellery, Vintage Jewellery, Hand made Jewellery, Costume Jewellery, Designer Jewellery or just Unique Jewellery. The store with a wide and interesting vintage jewellery selection. THE BETTER KIND OF THE JEWELLERY HARDLY SEEN ANYWHERE ELSE!!! check out our GEMSTONE COLLECTION info page We are not a Gemstone reseller- we are specialists in Antiques and Collectables. However, we are honored to offer in our store exclusive gemstones from a few personal collections that have been compiled over the period of eighty years. The gemstones featured in our store are of the highest quality, unique, specially cut and one of the kind. So bookmark our store, there is a new and exiting gemstone inventory coming soon! Jewellery or jewelry signifies items of personal adornment, such as necklaces, rings, brooches, earrings and bracelets. Jewellery may be made from any material: gemstones, precious metals or shells, besides other materials, depending on cultural differences and availability of materials. Jewellery may be appreciated because of geometric or other patterns, or meaningful symbols. The word jewellery is derived from the word jewel, Anglicised from the Old French "jouel" circa the 13th century. Further tracing leads back to the Latin word "jocale", meaning plaything. Jewellery is one of the oldest forms of body adornment; recently found 100,000 year-old beads made from Nassarius shells, are thought to be the oldest known jewellery. Jewellery is sometimes seen as wealth storage or functionally as holding a garment or hair together. 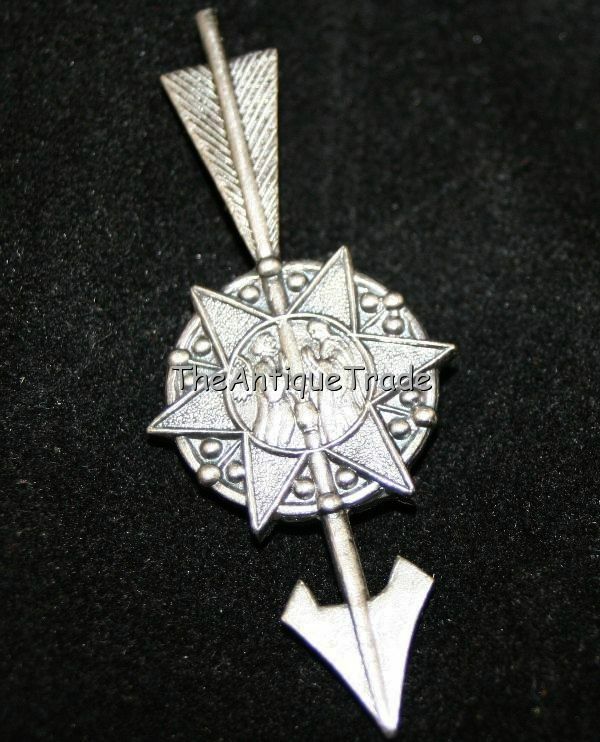 It has from very early times also been regarded as a form of personal adornment. The first pieces of jewellery were made from natural materials, such as bone, animal teeth, shell, wood and carved stone. 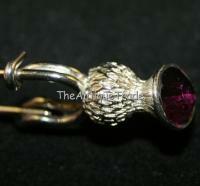 Jewellery has been made to adorn nearly every body part, from hairpins to toe rings and many more types of jewellery. While high-quality jewellery is made with gemstones and precious metals, such as silver or gold, there is also a growing demand for art jewellery where design and creativity is prized above material value. In addition, there is the less costly costume jewellery, made from lower value materials and mass-produced. Other variations include wire sculpture (wrap) jewellery, using anything from base metal wire with rock tumbled stone to precious metals and precious gemstones. Condition - Don’t take the condition of a vintage jewelry item for granted. 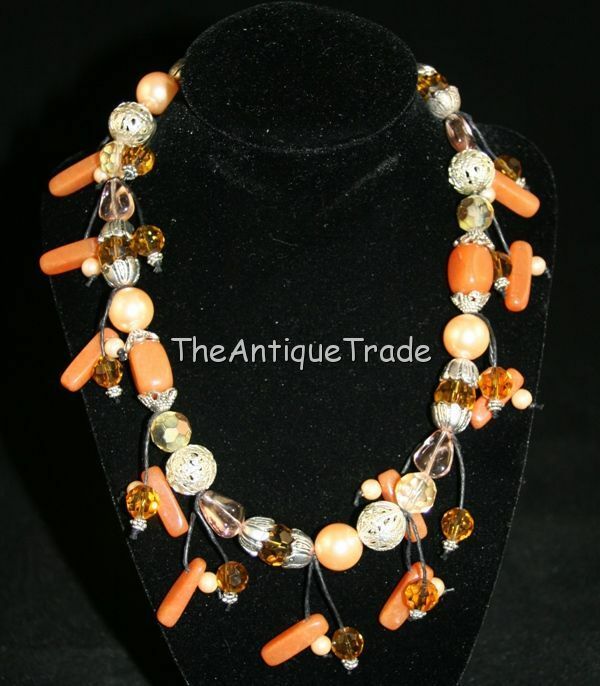 Vintage jewelry from the Victorian era through the 1930s can have a very vintage look to it . However sometimes you can find jewelry from the ‘40s, ‘50s and ‘60s in like-new condition. Even with older pieces, don’t settle for second best. 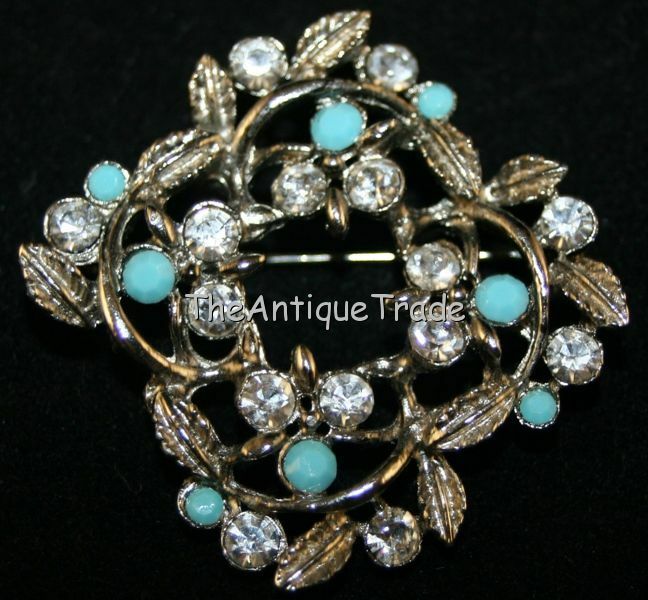 Extremely worn plating, darkened or cloudy rhinestones, missing parts, missing stones, and chipped or scratched enamel all lower the value of a vintage piece. Obvious repairs such as sloppy soldering and stone replacements should also be avoided. Quality - If you find a bargain piece of low quality jewelry that’s kitschy and fun, and you absolutely love it, go ahead and purchase it. But overall, buying vintage costume jewelry of quality makes sense. Quality pieces will hold their value and wear better over time. Look signs of quality such as pronged settings, substantial weight, smooth plating and sparkling stones. Certain manufacturers are known for creating jewelry of quality as well: Eisenberg, Schiaparelli, Miriam Haskell and Schreiner are a few names to look for when purchasing high-end pieces. More moderately priced signatures include Weiss and Kramer among many others. Should a vintage jewelry purchase always be "signed?" Not necessarily. There are even more beautiful unsigned pieces available on the secondary market, and all the aforementioned companies made unsigned jewelry at one time or another. It really depends on who you're buying for, since an avid costume jewelry collector will appreciate a signature far more than someone who values the piece as a fashion accessory. 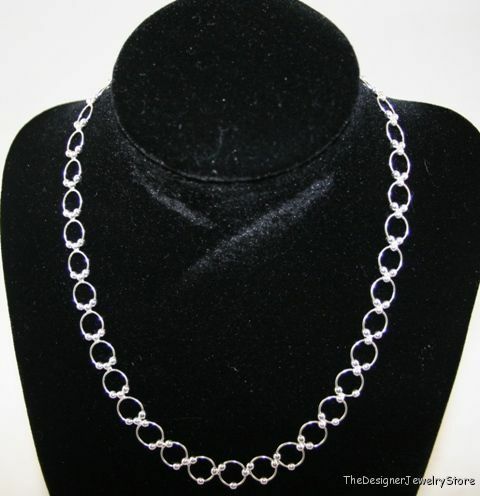 Personality - If you're buying for yourself, consider the types of jewelry you feel comfortable wearing. Size, durability, color and overall style will influence your purchases. 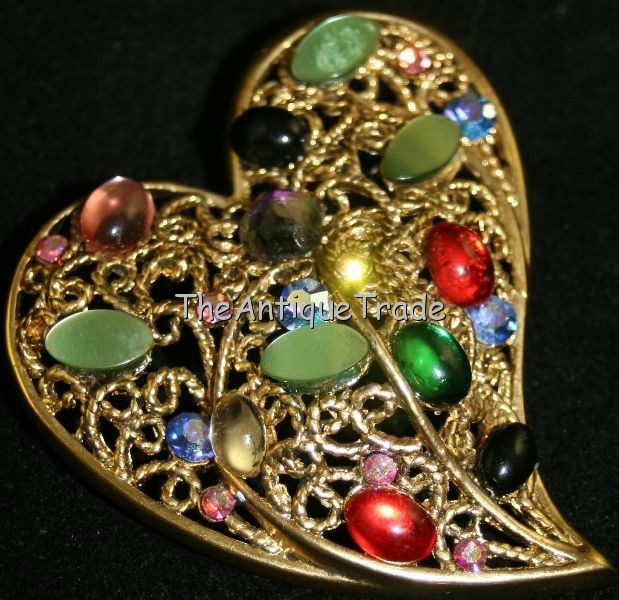 For example, clear rhinestone brooches look fabulous on denim shirts and jackets so even the most casual dresser can enjoy a little glitz now and then, while colorful vintage brooches of all types compliment business attire. When buying gifts, it doesn’t make sense to buy your 15 year-old niece a huge rhinestone brooch if you never see her wearing pins larger than the size of a quarter. And will your aunt who dresses boldly wearing flashy jewelry appreciate a pair of dainty rhinestone earrings? Not so much. To determine if a piece of jewelry is an antique, it is most important to identify the materials used in composition of the piece. Most early (Georgian through Victorian) pieces were made out of silver, which has an earthy, metallic smell! Pieces could also be made out of yellow gold (possibly gold filled or incorporating rolled gold), or pinchbeck, followed by platinum in Edwardian (1901-1910) times. White gold did not appear on the market until the 1920’s. Stone, bog oak, jet, mother–of-pearl, shell, coral, lava, tortoise shell and ivory were also used in the composition of early jewelry. In addition, depending on the era or style of jewelry, these materials were often embellished with hair (both human and horse), enamel, pearls, precious and semi-precious stones, paste stones, painted gold, micro mosaic tiles, Pietra Dura, cut steel and marcasite. Also, it is important to know the types of fasteners used in antique jewelry. 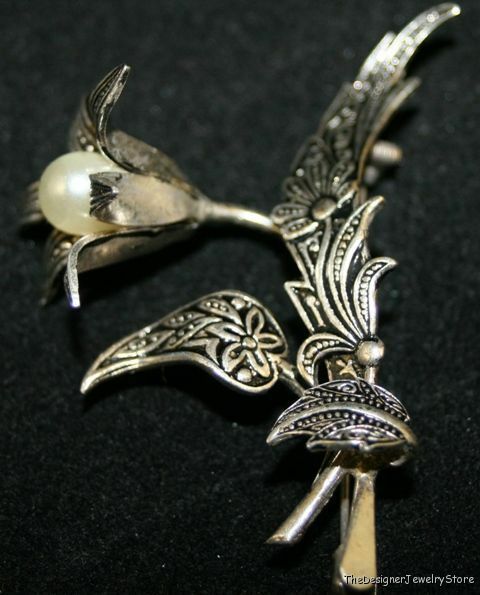 For instance, if a brooch pin back extends beyond the mounting, it is an indication that the piece is early. Brooches from the 1800’s often have simple “c” catches on the back. Screw back earrings were developed in the 1890’s. It is important to know the cuts of gems and paste, and how they were set in antique jewelry. 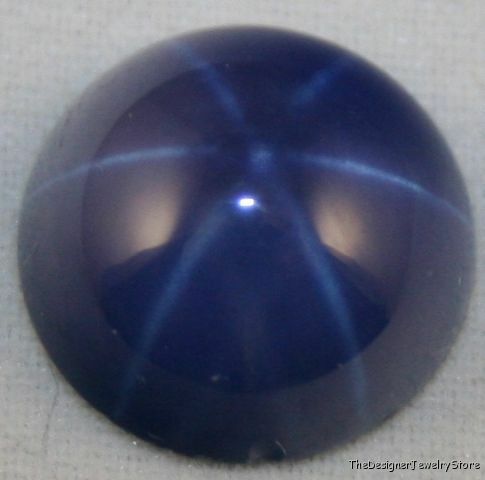 Table cut and cabochon stones can be found in some of the earliest hand crafted pieces. Old mine cut diamonds, which are irregular in cut and lumpy in shape, but amazingly brilliant, especially under low light, were extremely popular in the 18th and 19th centuries. 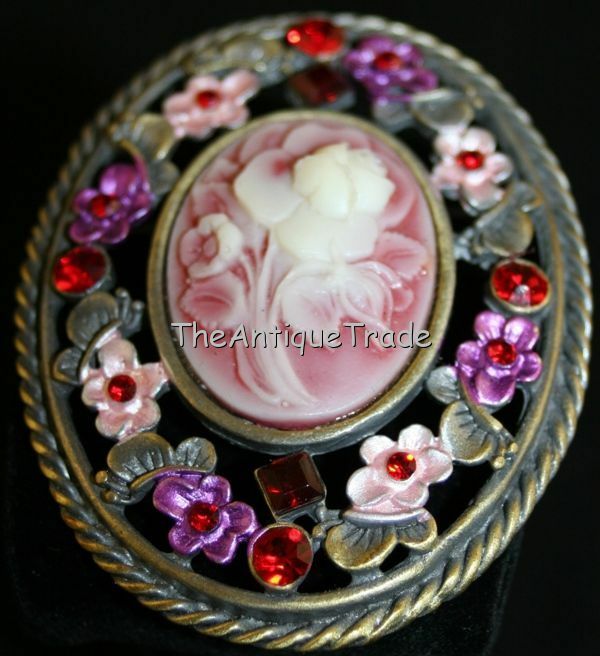 European and rose cut gems were also very popular in antique pieces. The diamonds and other gems and pastes of the time were all individually hand cut until the mid 1800’s when machines were invented to do the cutting. No antique piece could have a modern cut of gem. 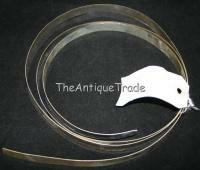 The baquette cut was first used in the 1920’s. The invisible set was not developed until the 1930’s.It is important to understand the craftsmanship/styles of antique jewelry. Until the mid 19th century, jewelry was hand made with great pride and craftsmanship. Two symmetrical sides of a piece were not identical in these hand made pieces. Precious stones and paste were each individually hand cut, so all were different. Great pride was taken in the making of a piece of jewelry, and the back of the piece was often as lovely as the front-and as ornate. 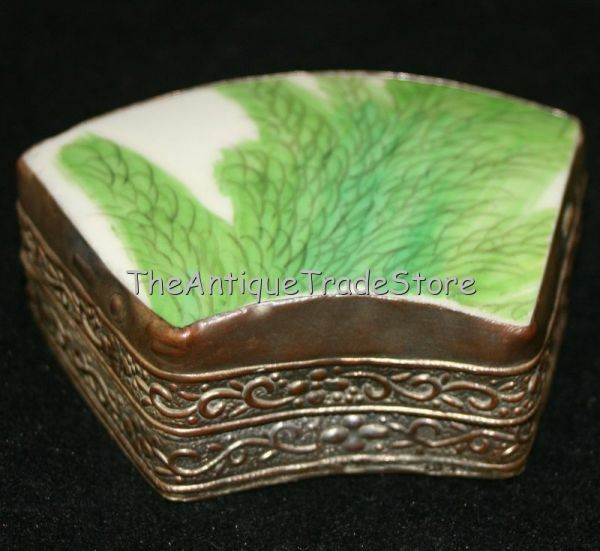 Also, well-made antique jewelry is very smoothly finished on the back and front. The pieces do not catch you fingers as you run them over the front and back surfaces of a piece. Riveted hinges on pin stems did not come about until approx. 1900. Lever back earrings were not developed until approx. 1900. Fold over latches came about in approximately 1901. 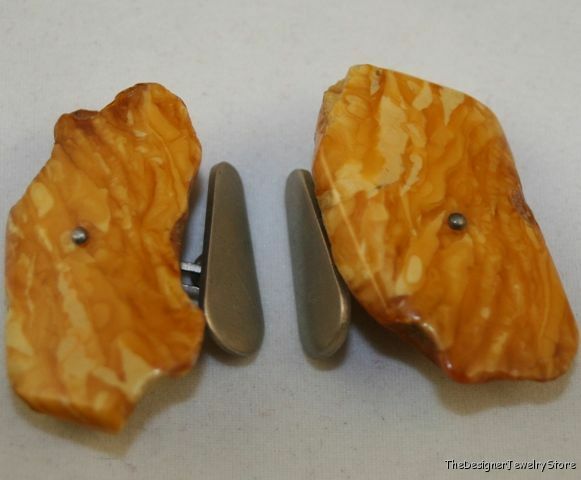 Tongue-in-groove clasps came about in approximately 1910. Post and clutch earrings came about in the 1920’s. Clip back earrings were not developed until the 1930’s. Barrel Clasps were developed in the 1930’s. Double pin stems (clips) are circa 1940’s. Omega back earrings were not developed until the 1970’s. 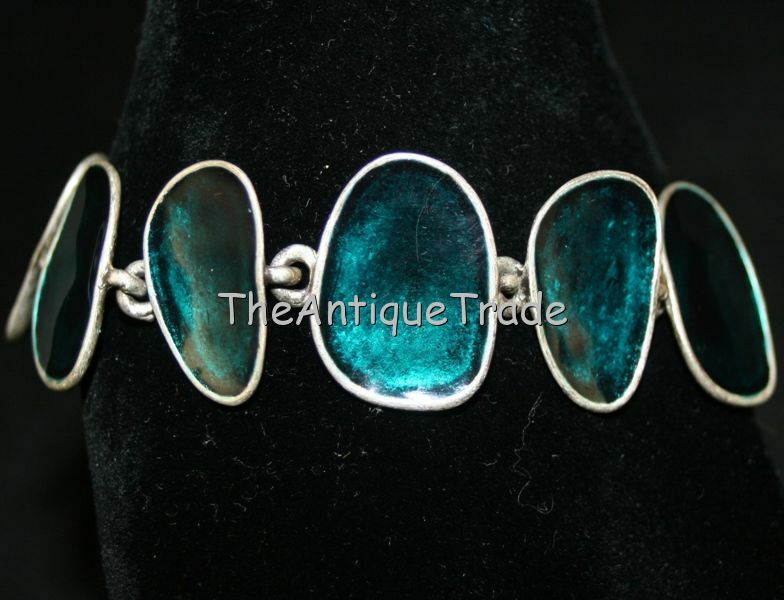 Antique Portuguese and Spanish/Columbian pieces have very high collars around the gems. Garnets were often set into pinchbeck. Georgian pieces often have large foiled paste stones. Cut steel pieces were riveted to the base metal. Marcasite was most commonly pasted onto silver. In Edwardian platinum pieces, the jewels were held in place by fine milligrain details. Ornate and colorful enameling around the gems of a piece can help date the piece to the 16th or 17th centuries. Enameling was replaced by engraving in Georgian (18th and early 19th century) jewelry. The first signs of jewellery came from the people in Africa. Perforated beads made from snail shells have been found dating to 75,000 years ago at Blombos Cave. In Kenya, at Enkapune Ya Muto, beads made from perforated ostrich egg shells have been dated to more than 40,000 years ago. Outside of Africa, the Cro-Magnons had crude necklaces and bracelets of bone, teeth, berries and stone hung on pieces of string or animal sinew, or pieces of carved bone used to secure clothing together. In some cases, jewellery had shell or mother-of-pearl pieces. In southern Russia, carved bracelets made of mammoth tusk have been found. Around 7,000 years ago, the first sign of copper jewellery was seen. By approximately 4,000 years ago, jewellery-making had become a significant craft in the cities of Sumer and Akkad. The most significant archaeological evidence comes from the Royal Cemetery of Ur, where hundreds of burials dating 2900–2300 BC were unearthed; tombs such as that of Puabi contained a multitude of artifacts in gold, silver, and semi-precious stones, such as lapis lazuli crowns embellished with gold figurines, close-fitting collar necklaces, and jewel-headed pins. In Assyria, men and women both wore extensive amounts of jewellery, including amulets, ankle bracelets, heavy multi-strand necklaces. Jewellery in Mesopotamia tended to be manufactured from thin metal leaf and was set with large numbers of brightly-coloured stones (chiefly agate, lapis, carnelian, and jasper). Favoured shapes included leaves, spirals, cones, and bunches of grapes. Jewellers created works both for human use and for adorning statues and idols; they employed a wide variety of sophisticated metalworking techniques, such as cloisonné, engraving, fine granulation, and filigree. The Greeks started using gold and gems in jewellery in 1600 BC, although beads shaped as shells and animals were produced widely in earlier times. By 300 BC, the Greeks had mastered making coloured jewellery and using amethysts, pearl and emeralds. Also, the first signs of cameos appeared, with the Greeks creating them from Indian Sardonyx, a striped brown pink and cream agate stone. Greek jewellery was often simpler than in other cultures, with simple designs and workmanship. However, as time progressed the designs grew in complexity different materials were soon utilized. The jewellery was often supposed to give the wearer protection from the “Evil Eye” or endowed the owner with supernatural powers, while others had a religious symbolism. Older pieces of jewellery that have been found were dedicated to the Gods. The largest production of jewellery in these times came from Northern Greece and Macedon. Most of the jewellery in Greece was made of gold and silver with ivory and gemstones, bronze and clay copies were made also. They worked two styles of pieces; cast pieces and pieces hammered out of sheet metal. Fewer pieces of cast jewellery have been recovered; it was made by casting the metal onto two stone or clay moulds. Then the two halves were joined together and wax and then molten metal, was placed in the centre. The more common form of jewellery was the hammered sheet type. Sheets of metal would be hammered to thickness and then soldered together. The inside of the two sheets would be filled with wax or another liquid to preserve the metal work. Different techniques, such as using a stamp or engraving, were then used to create motifs on the jewellery. Jewels may then be added to hollows or glass poured into special cavities on the surface. The Greeks took much of their designs from outer origins, such as Asia when Alexander the Great conquered part of it. In earlier designs, other European influences can also be detected. When Roman rule came to Greece, no change in jewellery designs was detected. However, by 27 BC, Greek designs were heavily influenced by the Roman culture. Numerous polychrome butterfly pendants on silver foxtail chains, dating from the 1st century, have been found near Olbia. Although jewellery work was abundantly diverse in earlier times, especially among the barbarian tribes such as the Celts, when the Romans conquered most of Europe, jewellery was changed as smaller factions developed the Roman designs. The most common artefact of early Rome was the brooch, which was used to secure clothing together. The Romans used a diverse range of materials for their jewellery from their extensive resources across the continent. They used gold, they sometimes used bronze or bone and in earlier times, glass beads & pearl. As early as 2,000 years ago, they imported Sri Lankan sapphires and Indian diamonds and used emeralds and amber in their jewellery. In Roman-ruled England, fossilized wood called jet from Northern England was often carved into pieces of jewellery. 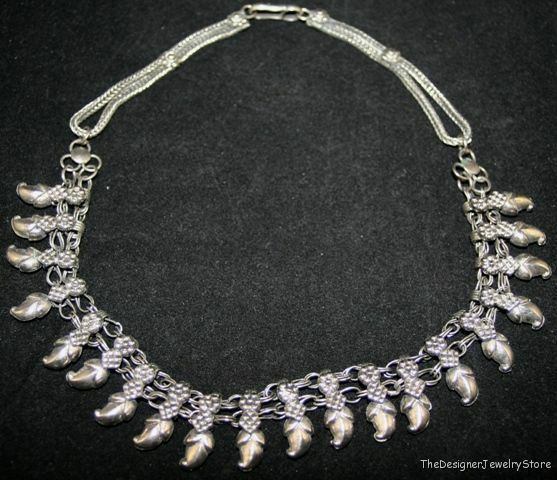 The early Italians worked in crude gold and created clasps, necklaces, earrings and bracelets. They also produced larger pendants which could be filled with perfume. Like the Greeks, often the purpose of Roman jewellery was to ward off the “Evil Eye” given by other people. Men were expected to wear at least one ring, some Roman men wore a ring on every finger, while others wore none. Roman men and women wore rings with a engraved gem on it that was used with wax to seal documents, an practice that continued into medieval times when kings and noblemen used the same method. After the fall of the Roman Empire, the jewellery designs were absorbed by neighbouring countries and tribes. Jewellery has been a part of Jewish culture since Biblical times. There are references in the Bible to the wearing of jewellery, both as a decoration and as a symbol. 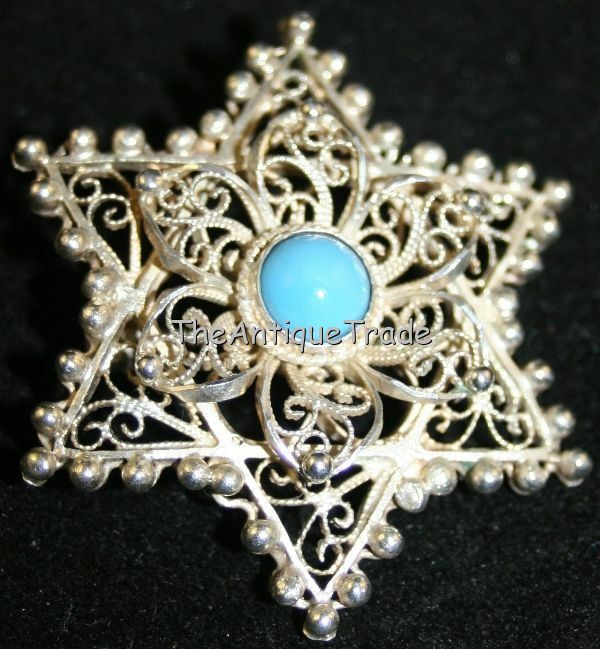 Jewish jewellery is worn to show affiliation with Judaism, as well as talismans and amulets. One of the most common symbols in Jewish jewellery is the Star of David. Another popular symbol is the Hamsa, also known as the "Hamesh hand". The Hamsa appears often in a stylized form, as a hand with three fingers raised, and sometimes with two thumbs arranged symmetrically. Its five fingers are said to symbolize the five books if the Torah. The symbol is used for protection and as a talisman to ward off the Evil eye in amulets and charms and can also be found in various places such as home entrances and cars. It is also common to place other symbols in the middle of the Hamsa that are believed to help against the evil eye such as fish, eyes and the Star of David. The colour blue, or more specifically light blue, is also considered protective against the evil eye and many Hamsas are in that colour or with embedded gemstones in different shades of blue. Chai is also a popular Jewish motif for necklaces. Other motifs found in Jewish jewellery are symbols from the Kabbalah, such as the Merkaba, a three-dimensional Star of David, and the Tree of life. Pieces of jewellery are decorated with parts or initials of known Jewish prayers and with 3-letters combinations, believed to represent different names of the God. One of the earliest cultures to begin making jewellery in Asia was the Chinese around 5,000 years ago. Chinese jewellery designs were very religion-oriented and contained Buddhist symbols, a tradition which continues to this day. The Chinese used silver in their jewellery more often than gold, and decorated it with their favourite colour, blue. Blue kingfisher feathers were tied onto early Chinese jewellery and later, blue gems and glass were incorporated into designs. Jade was preferred over any other stone, and was fashioned using diamonds. The Chinese revered jade because of the human-like qualities they assigned to it, such as its hardness, durability and beauty. The first jade pieces were very simple, but as time progressed, more complex designs evolved. Jade rings from between the 4th and 7th centuries BC show evidence of having been worked with a compound milling machine; hundreds of years before the first mention of such equipment in the west. In China, jewellery was worn frequently by both sexes to show their nobility and wealth. However, in later years, it was used to accentuate beauty. Women wore highly detailed gold and silver head dresses and other items, while men wore decorative hat buttons, which showed rank, and gold or silver rings. Women also wore strips of gold on their foreheads, much like women in the Indus Valley. The band was an early form of tiara and was often decorated with precious gems. The most common piece of jewellery worn by in China was the earring, which was worn by both men and women. Amulets were also common too, often with a Chinese symbol or dragon. In fact, dragons, Chinese symbols and also phoenixes were frequently depicted on jewellery designs. The Indian subcontinent has the longest continuous legacy of jewellery making anywhere since Ramayana and Mahabharata times. While Western traditions were heavily influenced by waxing and waning empires, India enjoyed a continuous development of art forms for some 5000 years. One of the first to start jewellery making were the peoples of the Indus Valley Civilization. By 1,500 BC the peoples of the Indus Valley were creating gold earrings and necklaces, bead necklaces and metallic bangles. Before 2,100 BC, prior to the period when metals were widely used, the largest jewellery trade in the Indus Valley region was the bead trade. Beads in the Indus Valley were made using simple techniques. First, a bead maker would need a rough stone, which would be bought from an eastern stone trader. The stone would then be placed into a hot oven where it would be heated until it turned deep red, a colour highly prized by people of the Indus Valley. The red stone would then be chipped to the right size and a hole drilled through it with primitive drills. The beads were then polished. Some beads were also painted with designs. This art form was often passed down through family; children of bead makers often learnt how to work beads from a young age. Jewellery in the Indus Valley was worn predominantly by females, who wore numerous clay or shell bracelets on their wrists. They were often shaped like doughnuts and painted black. Over time, clay bangles were discarded for more durable ones. In India today, bangles are made out of metal or glass. Other pieces that women frequently wore were thin bands of gold that would be worn on the forehead, earrings, primitive brooches, chokers and gold rings. 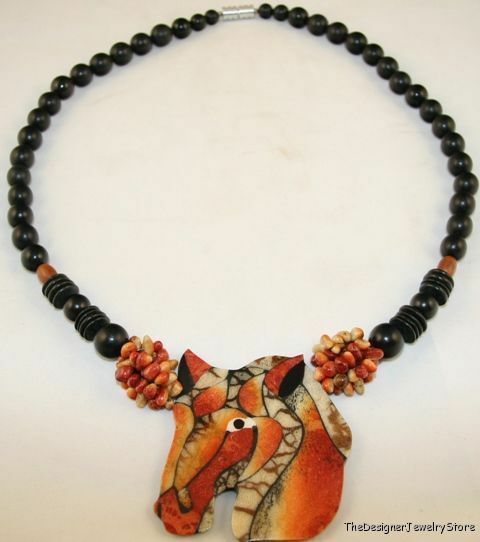 Although women wore jewellery the most, some men in the Indus Valley wore beads. Small beads were often crafted to be placed in men and women’s hair. India was the first country to mine diamonds, with some mines dating back to 296 BC. India traded the diamonds, realising their valuable qualities. This trade almost vanished 1,000 years after Christianity grew as a religion, as Christians rejected the diamonds which were used in Indian religious amulets. Along with Arabians from the Middle East restricting the trade, India’s diamond jewellery trade lulled. Jewellery making in the Pacific started later than in other areas because of recent human settlement. Early Pacific jewellery was made of bone, wood and other natural materials, and thus has not survived. Most Pacific jewellery is worn above the waist, with headdresses, necklaces, hair pins and arm and waist belts being the most common pieces. Jewellery in the Pacific, with the exception of Australia, is worn to be a symbol of either fertility or power. Elaborate headdresses are worn by many Pacific cultures and some, such as the inhabitants of Papua New Guinea, wear certain headresses once they have killed an enemy. Tribesman may wear boar bones through their noses. Island jewellery is still very much primal because of the lack of communication with outside cultures; some areas of Borneo and Papua New Guinea are yet to be explored by Western nations. However, the island nations which were flooded with Western missionaries have had drastic changes made to their jewellery designs. Missionaries saw any type of tribal jewellery as a sign of the wearer's devotion to paganism. Thus many tribal designs were lost forever in the mass conversion to Christianity. 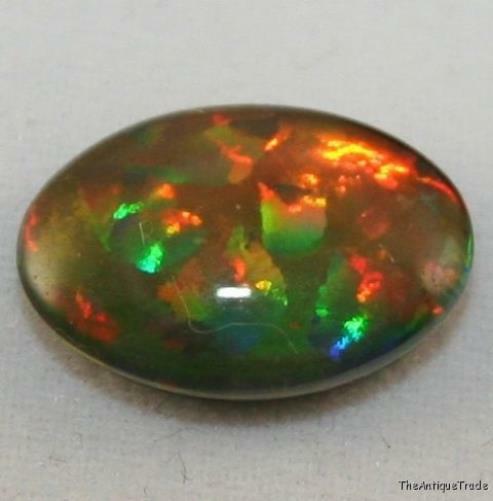 Australia is now the number one supplier of opals in the world. Opals had already been mined in Europe and South America for many years prior, but in the late 1800s, the Australian opal market became predominant. Australian opals are only mined in a few select places around the country, making it one the most profitable stones in the Pacific. One of the few cultures to today still create their jewellery as they did many centuries prior is the New Zealand Maori, who create Hei-tiki. The reason the hei-tiki is worn is not apparent; it may either relate to ancestral connections, as Tiki was the first Maori, or fertility, as there is a strong connection between this and Tiki. Another suggestion from historians is that the Tiki is a product of the ancient belief of a god named Tiki, perhaps dating back to before the Maoris settled in New Zealand. Hei-tikis are traditionally carved by hand from whale bone, nephrite or bowenite; a lengthy and spiritual process. The Hei-tiki is now popular amongst tourists who can buy it from souvenir or jeweller shops. Post-Roman Europe continued to develop jewellery making skills; the Celts and Merovingians in particular are noted for their jewellery, which in terms of quality matched or exceeded that of Byzantium. Clothing fasteners, amulets, and to a lesser extent signet rings are the most common artefacts known. The Torc was common throughout Europe as a symbol of status and power. By the 8th century, jewelled weaponry was common for men, while other jewellery become the domain of women. The Celts specialized in continuous patterns and designs; while Merovingian designs are best known for stylized animal figures. On the continent, cloisonné and garnet were perhaps the quintessential method and gemstone of the period.The Eastern successor of the Roman Empire, the Byzantine Empire, continued many of the methods of the Romans, though religious themes came to predominate. Unlike the Romans, the Franks, and the Celts, however; Byzantium used light-weight gold leaf rather than solid gold, and more emphasis was placed on stones and gems. As in the West, Byzantine jewellery was worn by wealthier females, with male jewellery apparently restricted to signet rings. Like other contemporary cultures, jewellery was commonly buried with its owner. The Renaissance and exploration both had significant impacts on the development of jewellery in Europe. By the 17th century, increasing exploration and trade lead to increased availability of a wide variety of gemstones as well as exposure to the art of other cultures. Whereas prior to this the working of gold and precious metal had been at the forefront of jewellery, this period saw increasing dominance of gemstones and their settings. A fascinating example of this is the Cheapside Hoard, the stock of a jeweller hidden in London during the Commonwealth period and not found again until 1912. It contained Colombian emerald, topaz, amazonite from Brazil, spinel, iolite, and chrysoberyl from Sri Lanka, ruby from India, Afghan lapis lazuli, Persian turquoise, Red Sea peridot, as well as Bohemian and Hungarian opal, garnet, and amethyst. Large stones were frequently set in box-bezels on enamelled rings. Notable among merchants of the period was Jean-Baptiste Tavernier, who in the 1660s brought the precursor stone of the Hope Diamond to France. When Napoleon Bonaparte was crowned as Emperor of the French in 1804, he revived the style and grandeur of jewellery and fashion in France. Under Napoleon’s rule, jewellers introduced parures, suites of matching jewellery, such as a diamond tiara, diamond earrings, diamond rings, a diamond brooch and a diamond necklace. Both of Napoleon’s wives had beautiful sets such as these and wore them regularly. Another fashion trend resurrected by Napoleon was the cameo. Soon after his cameo decorated crown was seen, cameos were highly sought after. The period also saw the early stages of costume jewellery, with fish scale covered glass beads in place of pearls or conch shell cameos instead of stone cameos. New terms were coined to differentiate the arts: jewellers who worked in cheaper materials were called bijoutiers, while jewellers who worked with expensive materials were called joailliers; a practice which continues to this day. In the United states, this period saw the founding in 1837 of Tiffany & Co. by Charles Lewis Tiffany. Tiffany's put the United States on the world map in terms of jewellery, and gained fame creating dazzling commissions for people such as the wife of Abraham Lincoln. In France, Pierre Cartier founded Cartier SA in 1847, while 1884 saw the founding of Bulgari in Italy. This period also saw the first major collaboration between East and West; collaboration in Pforzheim between German and Japanese artists lead to Shakudo plaques set into Filigree frames being created by the Stoeffler firm in 1885. Perhaps the grand finalé – and an appropriate transition to the following period – were the masterful creations of the Russian artist Peter Carl Fabergé, working for the Imperial Russian court, whose Fabergé eggs and jewellery pieces are still considered as the epitome of the goldsmith’s art. In Georgian times both men and women wore a lot of jewelry. Shoe buckles, brooches, buttons, pocket watches, chains, and fobs were very popular. Georgian chains were 60 inches long! (Beware, however. Many old pendants have been married with commercial modern chains.) In addition, women also wore full parures and demi-parures, stomachers, and chatelaines. 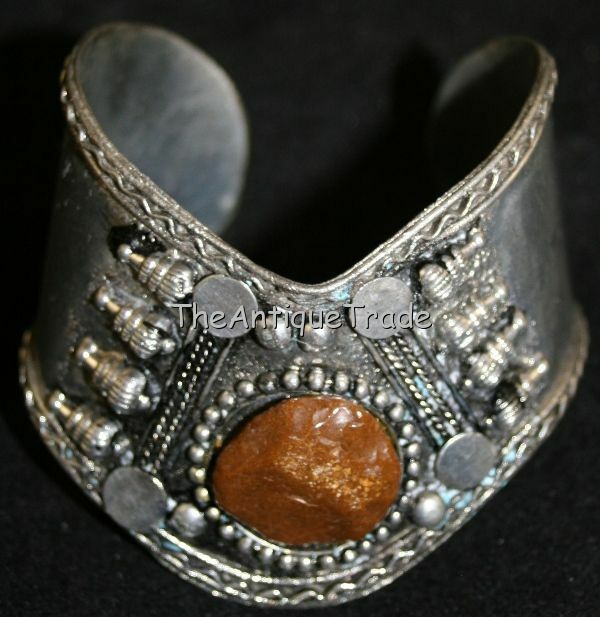 Paste stones became very popular as wealthy travelers chose to wear paste in case holdups by highway robbers. The paste pieces were as elaborate and done in the same cuts as real gems and diamonds. In Victorian times, hair jewelry, earrings, lockets, brooches, multiple bracelets, necklaces that converted to earrings and bracelets and mourning pieces were all very popular. Animal and symbolic themes in jewelry were widely utilized. For instance, lizards and snakes were symbols of, “Love”. 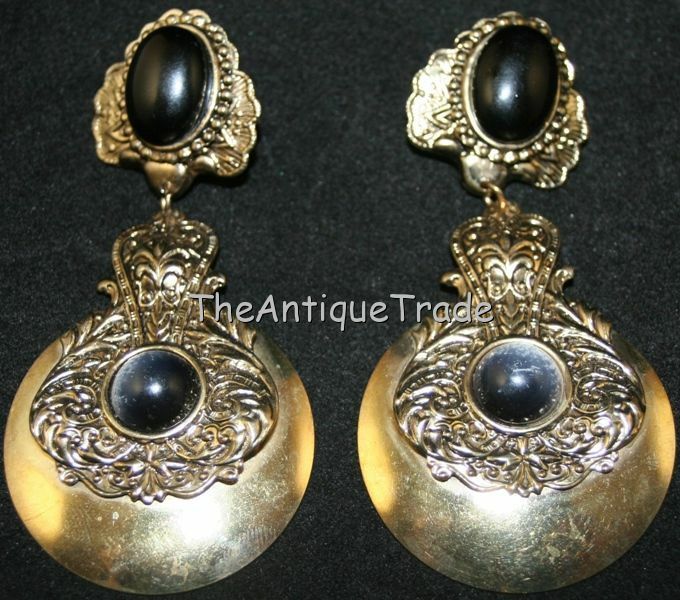 Victorian earrings were often elongated and ornate with granulation, engraving, etc. In the 1890s, jewellers began to explore the potential of the growing Art Nouveau style and the closely related German Jugendstil, British Arts and Crafts Movement. Art Nouveau jewellery encompassed many distinct features including a focus on the female form and an emphasis on colour, most commonly rendered through the use of enamelling techniques including basse-taille, champleve, cloisonné and plique-à-jour. Motifs included orchids, irises, pansies, vines, swans, peacocks, snakes, dragonflies, mythological creatures and the female silhouette. René Lalique, working for the Paris shop of Samuel Bing, was recognized by contemporaries as a leading figure in this trend. The Darmstadt Artists' Colony and Wiener Werkstätte provided perhaps the most significant German input to the trend, while in Denmark Georg Jensen, though best known for his Silverware, also contributed significant pieces. In England, Liberty & Co. and the British arts & crafts movement of Charles Robert Ashbee contributed to more linear but still characteristic designs. The new style moved the focus of the jeweller's art from the setting of stones to the artistic design of the piece itself; Lalique's dragonfly design is one of the best examples of this. Enamels played a large role in technique, while sinuous organic lines are the most recognizable design feature. Art Deco continues to be one of the most collectable periods in vintage jewelry. This trend is in large part due to the rarity of such pieces, as a great number of Art Deco jewels were broken up during the Great Depression and, then, World War II. The economic circumstances surrounding these two events also contributed to a major change in jewelry fashion in the following decades, turning from platinum jewels set with a multitude of diamonds to designs more heavily focused on large, hollow yellow gold pieces sparingly punctuated with gemstones. It was only in the 1980s that the Art Deco style experienced a renaissance, the opulence of materials and streamlined styling a perfect match for the luxuriant decade. Despite the present economic climate, demand for Art Deco jewelry continues unabated, for reasons evident upon examining any fine Art Deco piece. Perhaps the most striking feature is the use of bold geometric forms - curved silhouettes juxtaposed with straight, and square with circular forms - in line with the modernist tastes of the era. Also bold are the color contrasts, executed with the traditional Art Deco gemstones and metals, here in platinum and diamonds played against black onyx and bright green emeralds. This particular combination recalls decorative arts of the Far East, one of the most important influences on Art Deco designers. The use of lavish materials is also typical of the period, reflecting the economic prosperity of the 1920s. Textural contrast is also rendered by way of gemstone cuts - flat baguette cut onyxes, smooth cabochon emeralds, and glittering, multi-faceted brilliant cut diamonds - which all work together to lend an added lushness. Growing political tensions, the after-effects of the war, and a reaction against the perceived decadence of the turn of the century led to simpler forms, combined with more effective manufacturing for mass production of high-quality jewellery Modern materials were also introduced: plastics and aluminum were first used in jewellery, and of note are the chromed pendants of Russian born Bauhaus master Naum Slutzky. Technical mastery became as valued as the material itself. The modern jewellery movement began in the late 1940s at the end of World War II with a renewed interest in artistic and leisurely pursuits. The movement is most noted with works by Georg Jensen and other jewellery designers who advanced the concept of wearable art. The advent of new materials, such as plastics, Precious Metal Clay (PMC) and colouring techniques, has led to increased variety in styles. Other advances, such as the development of improved pearl harvesting by people such as Mikimoto Kokichi and the development of improved quality artificial gemstones such as moissanite, has placed jewellery within the economic grasp of a much larger segment of the population. 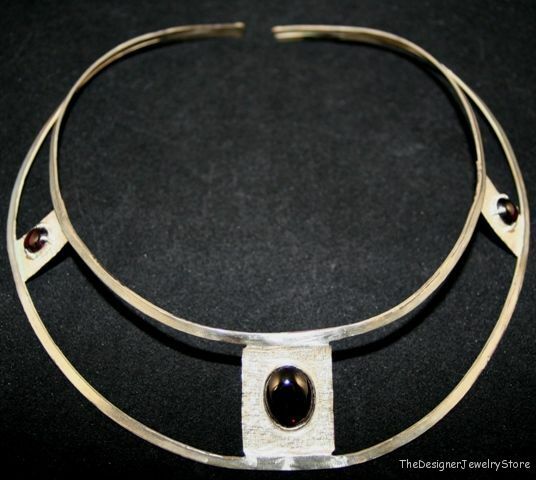 The "jewellery as art" movement was spearheaded by artisans such as Robert Lee Morris and continued by designers such as Gill Forsbrook in the UK. Influence from other cultural forms is also evident; one example of this is bling-bling style jewellery, popularized by hip-hop and rap artists in the early 21st century. The late 20th century saw the blending of European design with oriental techniques such as Mokume-gane. The following are the latest innovations: "Mokume-gane, hydraulic die forming, anti-clastic raising, fold-forming, reactive metal anodizing, shell forms, PMC, photoetching, and use of CAD/CAM. Artisan jewellery continues to grow as both a hobby and a profession. Some fine examples of artisan jewellery can be seen at The Metropolitan Museum.